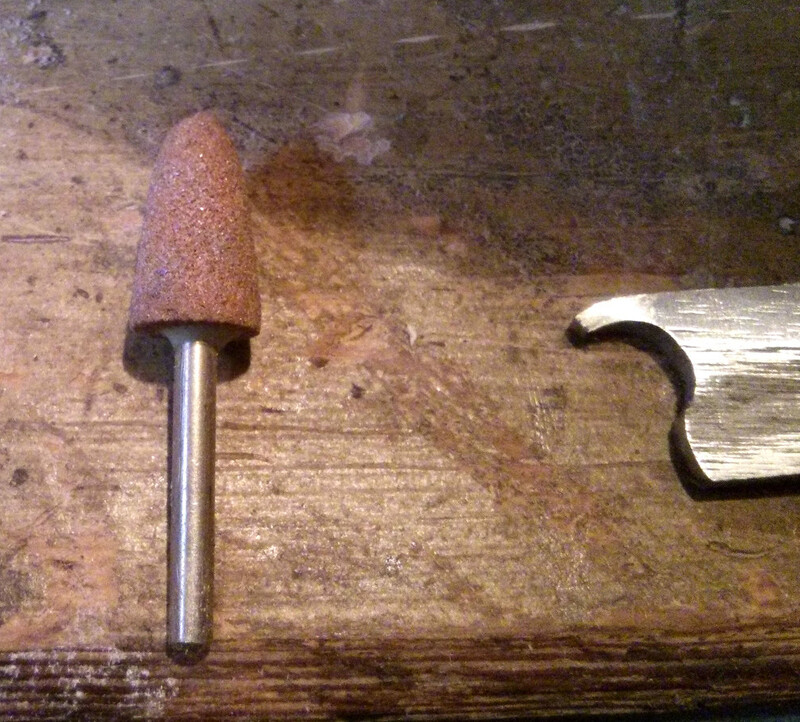 lately I've decided I should have a go at turning some pieces with captive rings, the only problem was I don't have a tool for turning captive rings, so I made a rough one from an old chisel, and one from an allen key. This was my third attempt at a captive ring. 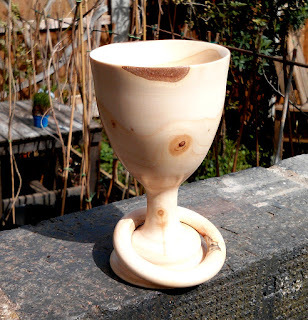 Technically you don't need a special tool (which can be quite pricey) for turning captive rings, you can make one quite easily and if you look online you can find numerous different ways of making tools that will do the job. I made mine from an old wood chisel which cost £1, all I've done is to sort of mimic the way a captive ring tool looks, which is kind of like a chisel with a hole drilled into it. 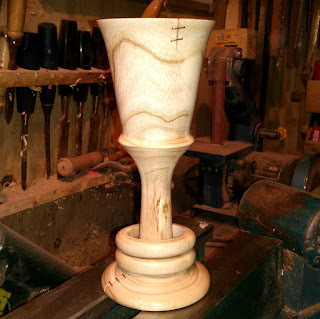 Now for a bit of shaping. 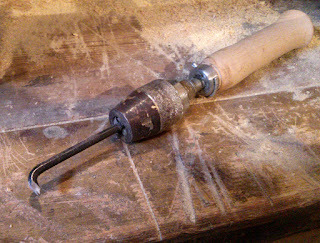 To get the shape all I did was ground out a hole into the end of the chisel using a small grinding bit in my multi-tool and created a kind of hook shape. Didn't take long to do. 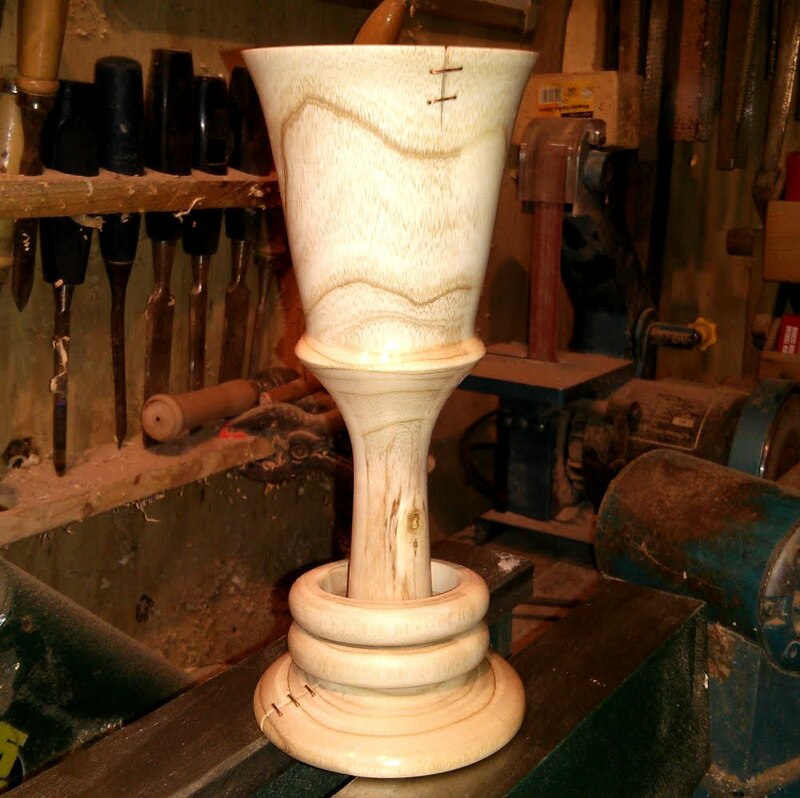 And that's about it, now it's not perfect and needs some tweaking but I am able to turn things with captive rings quite easily all be it small pieces, for larger pieces it's just as easy to use a small gouge as you have more room to work. The inside is very rough. As you can see it leaves quite a ragged inside to the ring, and as I've discovered it's not that easy sanding the inside of the rings, at least not on small pieces. 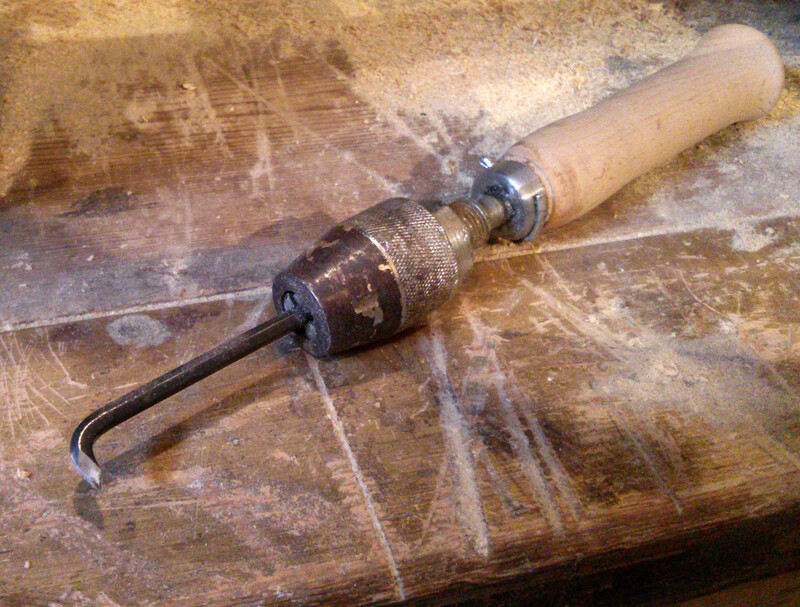 The other thing I've tried is grinding the short end of an allen key to give is sharp edges and using that held in a chuck with a handle, this so far is much better as I can get right behind the ring, even on small pieces and I'm able to get much sharper edges on the allen key than I can with the modified chisel, probably due to the steel being better. Quite versatile as it happens. A vast improvement on others I've made. So far I've made seven pieces with captive rings (and I need more practice) the latest being a fairly large goblet with two rings made from a piece of ash I chose for it's cracks and imperfections, you can watch the short video (about nine minutes, no sound) of me at various stages of turning, or if not just skip to the end of this post for the picture. 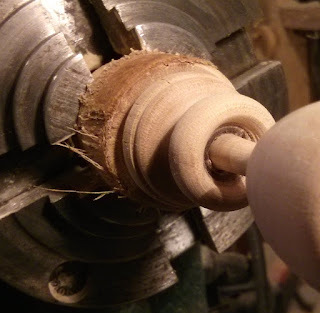 It's not the best way of doing things, but it works for me and it's something I intend to tweak and make better, it's always worth seeing if you can make your own tools, shop bought turning tools can be expensive and more often than not you can make something that works just as well for a lot less and I feel it gives you a better understanding of how things work.